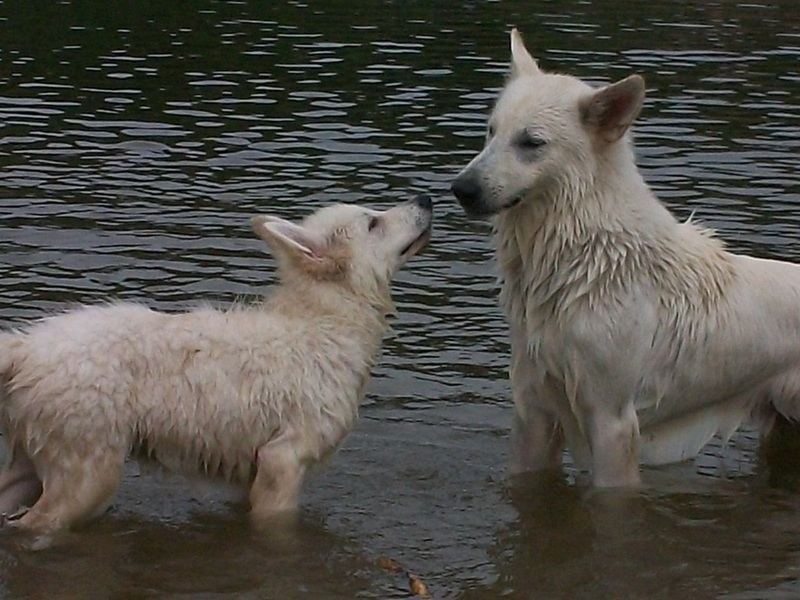 We were, originally, a family of five - three boys (White Swiss Shepherd), one girl (Mastiff) and one mom (human) - living in the western part of Romania. What began, over two decades ago, by bringing a pet home, a companion for my daughter, turned into a deep love for the DOG; sharing my life with a dog simply became a way of living. Years ago, Brandy's untimely journey over the Rainbow Bridge left me empty, devoid of goals or hopes. Then, when expecting nothing seemed to great an expectation, I met the WHITE SWISS SHEPHERD. The good looks, the elegant movement, the silent warmth and playfulness attracted me at first sight. The eagerness to learn, the unlimited devotion, the patience, the need to share and express love made this breed perfect for me. I chose Solo, a newborn from a loving family in the southern Hungary. I met the 22 months old Faust and he simply came home with me. Then Digit was born, in the north of Germany, to instantly become my most beloved. Next winter, the 11 months old Ahlitah added a feminine touch to our pack, and a MASTIFF fawn to our white world of wolves. We are the AHLITAH QUEST kennel.